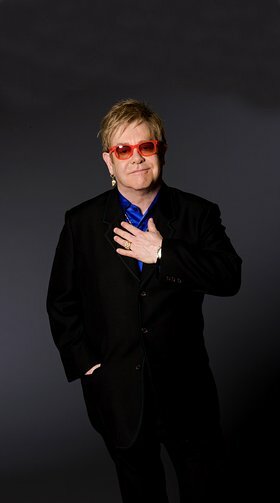 The Elton John AIDS Foundation (EJAF), an international leader in the global fight to end AIDS, and the International AIDS Society (IAS) today announced that Sir Elton John and the Duke of Sussex will launch a new global coalition focused on treating HIV infections in men at the 2018 International AIDS Conference in Amsterdam. The coalition and its inaugural campaign will be unveiled on July 24th at the conference’s Opening Plenary and subsequently showcased in its Global Village. In addition to the new coalition’s launch, on Tuesday, July 24th, EJAF will host a press conference to announce new partners in its Eastern Europe & Central Asia Key Populations Fund (EECAKP) launched in October 2017, as well as the first grant awards under the fund and proposed activities. Over 96% of the 1.5 million people living with HIV in Eastern Europe and Central Asia (EECA) belong to marginalized communities. The EECA Key Populations Fund, the first initiative of its kind, will prioritize these marginalized communities with innovative responses to the region’s expanding epidemic. EJAF will also present the achievements of the LGBT Fund, a $10 million effort jointly financed by the U.S. President’s Emergency Plan for AIDS Relief (PEPFAR) that was inaugurated in 2015 to support LGBT communities in multiple African countries. As part of this work, the lifesaving Rapid Response Fund, managed by the International AIDS Alliance, offers grants to help LGBT-led civil society organizations adapt to unexpected events that impact the ability of LGBT people to access HIV services. The Foundation’s tradition of supporting a number of pre-conference activities continues with a special focus is on ending the stigmatization of marginalized communities across continents. This year, EJAF will play a role in events including WomenNow! 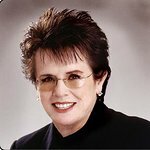 2018, an opportunity to address key concerns for the equity of women and girls in HIV; TRANS Action, a forum and platform for advancing universal the health and safety of trans people; and U=U, the campaign to put an end to misinformation and liberate people from stigma and fear from passing HIV to sexual partners. On Tuesday, July 24, Mohamed will lead two non-commercial satellite sessions: Where Are All the Men: Ensuring Access to HIV Testing and Treatment Services and A Brave New World: Understanding Users to Maximize the Impact of HIV Self-Testing.